The study identifies significant gaps in preventive measures and makes recommendations that should be implemented to improve the safety and health of workers. Each year, more than 600 million freight containers are shipped worldwide, most of which are frequently treated with pesticides to prevent damage to the goods. Agents used for this purpose have known toxic or irritant properties and can have long-term effects on the cardiovascular and central nervous systems, for instance phosphine (PH3), methyl bromide (MeBr) and formaldehyde. 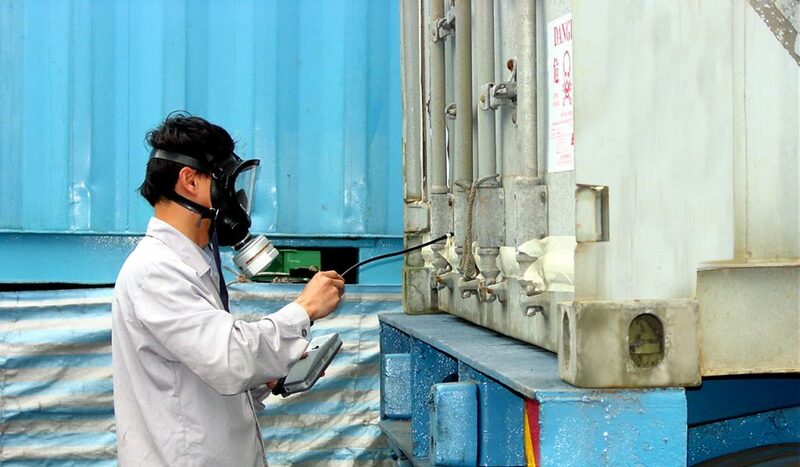 Workers at ports who open these containers, for example during customs inspections, can be exposed to these harmful agents. The report indicates that this problem has been underestimated. Despite the potential for exposure, standard safety and health measures and documentation to protect the workers have been introduced in only a few cases. The report aims to provide an overview of the current knowledge of the situation and to recommend how to minimise these risks to workers’ safety and health. under-reporting of incidents of adverse health effects. A number of changes to current practice could vastly improve the safety and health of the workers in question. distribute information packs offering guidance on personal protective equipment and risk assessment; these should be easily understandable to all workers who may be exposed to fumigated containers.